The town of Miami Lakes is a suburb of the larger city of Miami, Florida. It has a population of about 30,800 residents, while the Greater Miami area is home to more than 5.6 million residents. The town is found in Miami-Dade County, which is home to some of the top attractions in South Florida. Millions of visitors come to the area every year bringing their unique driving style. These visitors are also unfamiliar with the area roads, which not only makes the highways crowded, but rather dangerous. Interstate 75 provides one of the borders for Miami Lakes. 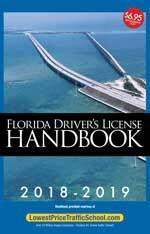 I-75 found in Florida has been rated as the 15th most dangerous highway in the United States. Along with I-75, the town is found very close to the Ronald Reagan Turnpike, Florida's Turnpike and Interstate 95. Miami-Dade County experiences about 45,000 traffic accidents on an average year. Over 38,000 people are injured in auto accidents every year in Miami-Dade County. The mixture of full time residents with visitors makes driving throughout the Miami area more dangerous than normal. Could you imagine how high the traffic accident numbers would be if the roads were not regularly monitors? With such a high population throughout the county, it should be no surprise that more than 470,000 traffic citations were given to drivers in 2015. The red light cameras, alone, caught over 160,000 drivers running red lights in 2015. Another 89,000 drivers were caught speeding and 54,000 were issued tickets for careless driving. These are some of the most dangerous offenses and often lead to accidents. A license suspension is a high possibility if you become a habitual offender of the traffic laws in Miami Lakes. After a few tickets, you may have enough points on your license to be issued a suspension of 30 days to 365 days. It only takes 12 points in 12 months, 18 points in 18 months or 24 points in 36 months to end up with a suspended license. You may think a suspended license is no big deal, but get caught driving on one and the consequences are expensive. You will spend up to $500 in additional fines, up to 90 days in jail and you will need special, expensive insurance. In addition, you still have to pay the ticket and the reinstatement fee. You don't even need enough points to get a suspension to feel the effects of traffic tickets. Just one ticket and your insurance rates will skyrocket. With the basic driver improvement course offered by online traffic school in Miami Lakes, Florida, you can avoid points on your license. 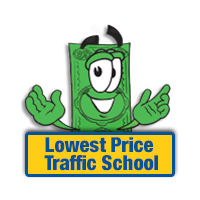 You will need to pay the ticket with the clerk of the court and let them know you will enroll in online traffic school. Then, take the course from the comfort of your home and receive your certificate of completion. Just turn this certificate into the clerk of the court and you're all set. This will help keep your insurance rates from going up and keep points off your license. In order to use the basic driver improvement course to avoid points on your license, you will need to be eligible. The requirements in the State of Florida are pretty straight-forward. If you haven't taken the course in the past 12 months or five times in your lifetime, you're eligible. All traffic citations issued in Miami Lakes are handled and processed by the Miami-Dade County Clerk of the Court. You will pay the ticket and turn in your certificate of completion to the clerk of the court. If you need more information about the Miami-Dade County Clerk of the Court, you can find it at their website.